. :: SERGIO MOYA AND ARRAYAN IN ANOTHER DIMENSION! ::. >> SERGIO MOYA AND ARRAYAN IN ANOTHER DIMENSION! 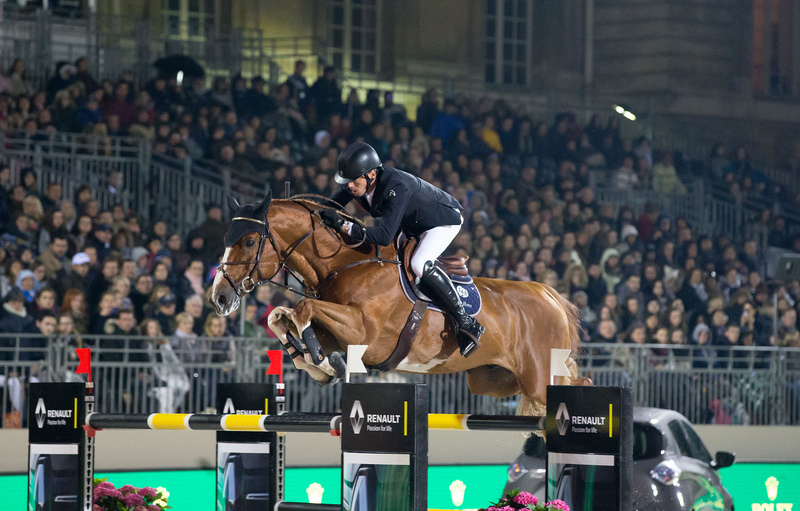 As often in a jump-off, the last finish first. After a smooth start, a first part clearly dominated by Daniel Deusser and Equita Van’t Zorgvliet, three of the last four riders to go offered a perfect show, each one improving the result of his predecessor. 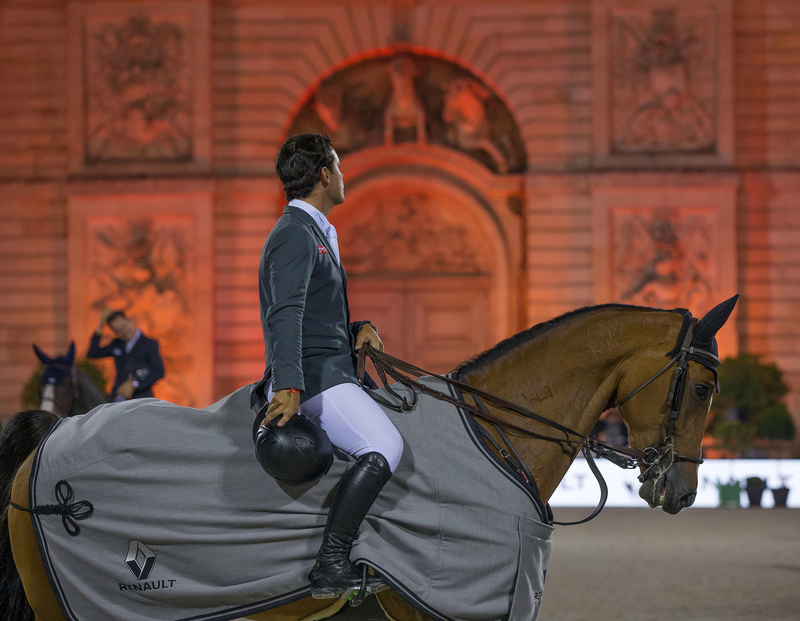 The first Grand Prix Renault de la Ville de Versailles will leave a radiant impression. 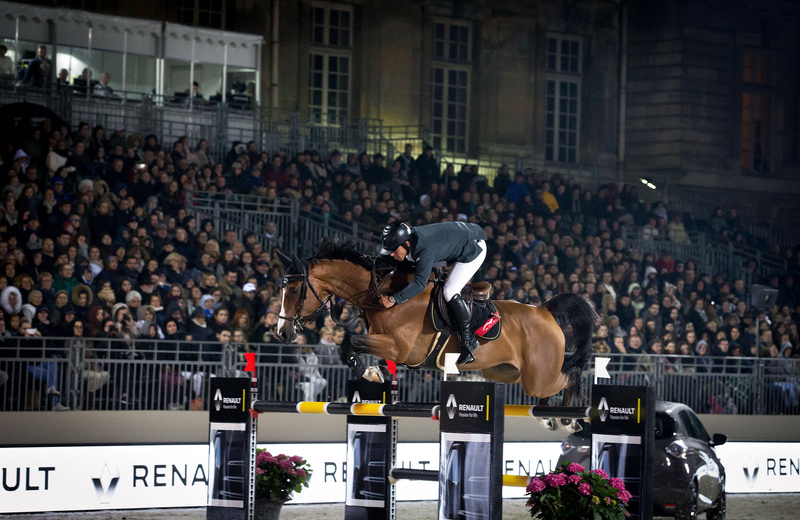 A tough first round, very technical where twelve pairs over thirty-nine went clear to get to the jump-off, including France Pénélope Leprévost (Urano de Cartyigny) and Simon Delestre (Chadino). Truth to be said, not successfully. The first part of the jump-off went smoothly, until the last four riders to go indeed. Italy Alberto Zorzi was the first to beat Daniel Deusser’s time by seven hundredths without getting the impression to push Rackham’Jo all for it. 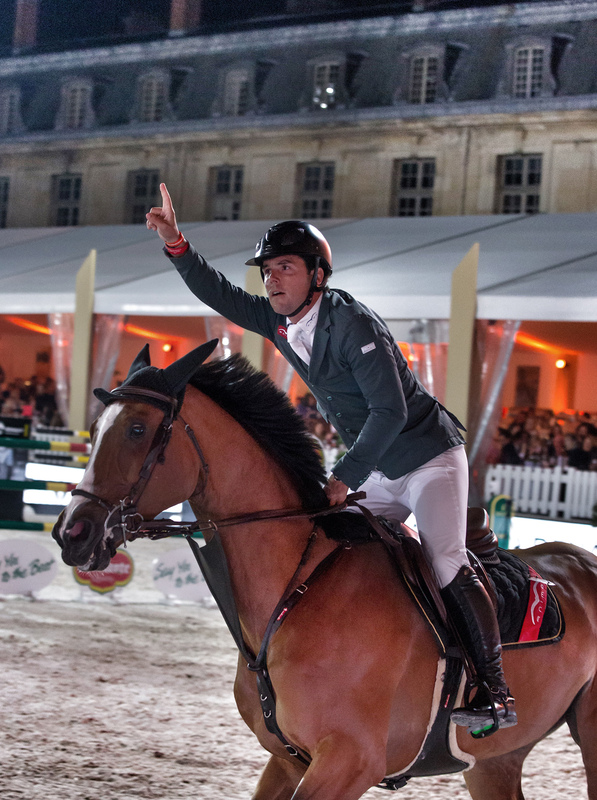 But after Jessica Springsteen’s round (4 points with Cinar Va), Netherlands Harrie Smolders and his great Emerald NOP took over the lead. We thought the deal closed. 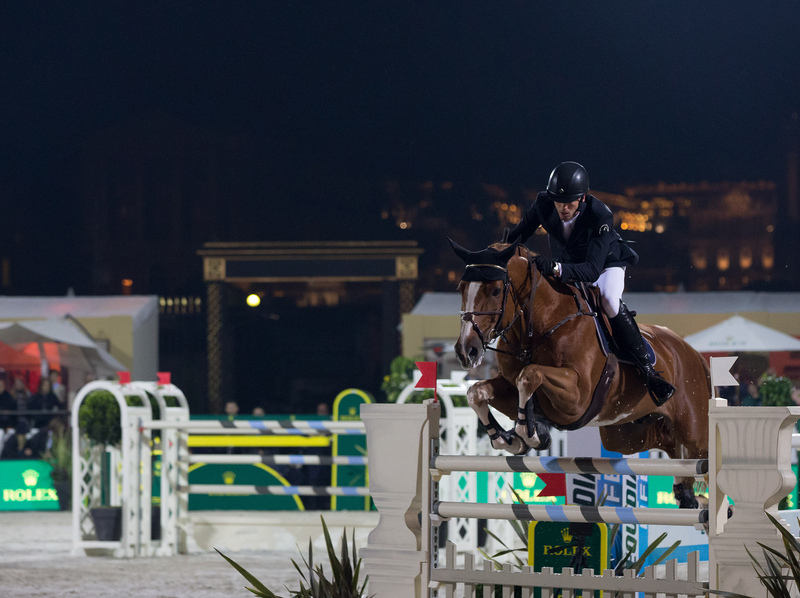 It was not Spain Sergio Moya’s opinion who, atop of Arrayan, a horse with a very typical style, improved Smolders’s time by two seconds exactly! A real crazy round: “Indeed, smiled the winner, Arrayan was great, wasn’t he? I was lucky! All my turns were right and kept me going fast. And there are moments when you need a bit of luck. All my distances were right; I just had to give it all. His style? It’s just how he jumps, but he only doesn’t want to make a fault and do his best. Anyway, it’s amazing to win here, this place if fantastic”. Especially since the rain spared Versailles today. 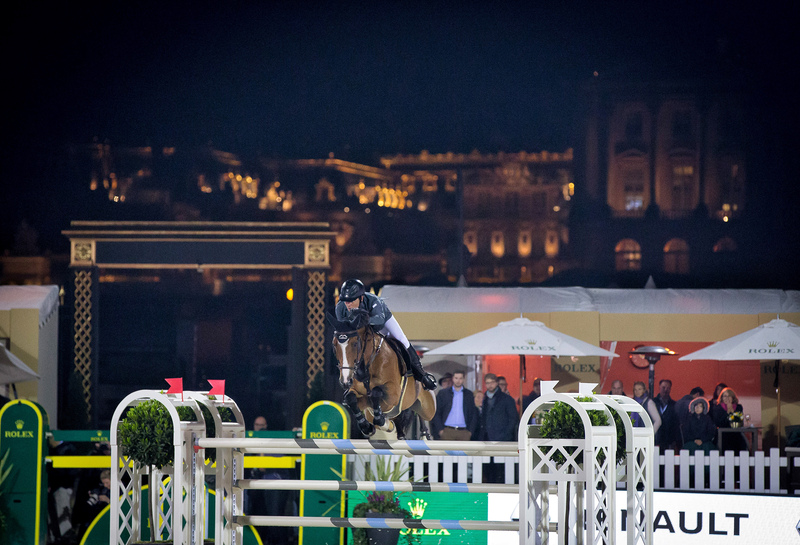 A chance for this beautiful and new equestrian event which is already part of the greatest international shows of the circuit, in which the magical setting captivates riders, sponsors and spectators.